If you need reliable and moderately priced man and van services in the area of Cubitt Town than all you have to do is give us a call or send us an e-mail. We will take care of the entire removal of your house or office and take into account all your specific needs. The level of our services is high, but the fees we charge are low. You can get a free quote on our website or arrange a viewing for any more specific service you might need for your E14 move. As all our movers are professionals who can do a proper job even after a short notice you can hire your man with van even for the same day. 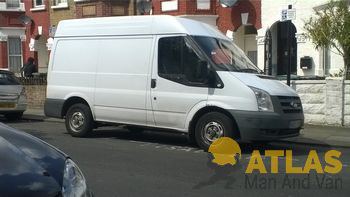 One of the most frequent E14 services of our man and van company is furniture collection and delivery. We can pick up any item you have order online or at a particular shop regardless of its size. We have smaller vans for flat pack furniture and bigger ones to accommodate stoves, mattresses or a piano. We will deliver your items anywhere in Cubitt Town at quite moderate rates. Full insurance applies to all furniture that our men with van transport. Cubitt Town is located on the east part of the Isle of Dogs and belongs to the London Borough of Tower Hamlets. 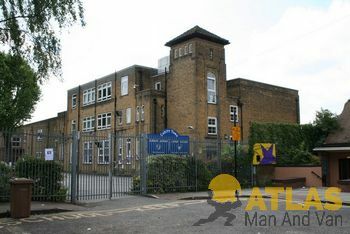 It is named after London Mayor William Cubitt (1860–1862), who initiated the development of the housing and amenities of the area. Now, Cubitt Town offers several recreational facilities and parks. The area is serviced by several busses and the nearest metro stations are Crossharbour and Island Gardens on the Docklands Light Railway.